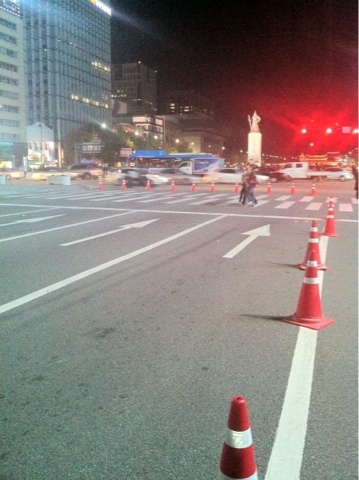 What are the odds of 8+ lanes being closed in one of the busiest roads in Seoul. This is right down the street across from the KyungBook Palace. People got to walk all over the street. No cars, closed street, It was like a scene in a movie... more about this later! Ashley Buffet Restaurant (Gongdeok) - NEW food, brunch & RULES? Airport Subway - which one to take? Happy season of the year!